Earlier this year, 2Ligit Records’ artist A.I released two singles off his upcoming EP titled Headstrong. The two singles, Paper and Burn Fat were both produced by Kuvie. 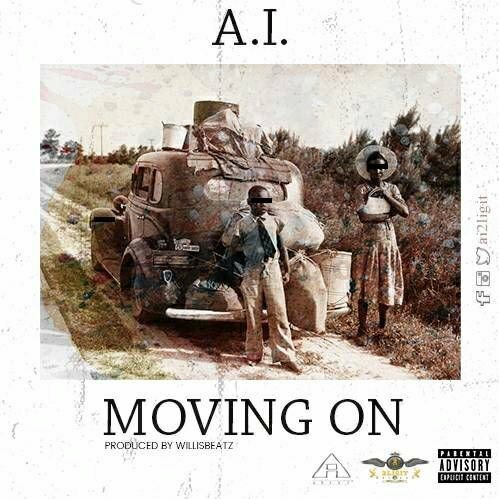 Following these two, A.I is dropping the 3rd single off his EP titled Moving On. Produced by the maestro Willis Beatz, Moving On is an Afro pop record which stands out with an 808 bounce that is rather unusual and with horns blasting behind the chorus blended with the ingenuity of A.I’s lyrics and style of delivery. Moving On is set to be an anthem for anyone with the belief that they cannot be faltered by the challenges of everyday life.